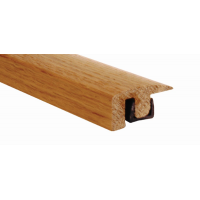 Sun pre-finished engineered flooring is made up of a 2.5mm or a 3.6mm wear layer of wood depending on the individual specification for each floor, bonded on to a 9mm softwood core with another 2mm softwood layer underneath. Each layer of wood is laid at right-angles to the next one thereby counteracting the natural movement of the wood in each layer and making the finished board extremely stable. Finish options include lacquered, matt lacquered, brushed & matt lacquered, oiled, and brushed & oiled, all of which are applied during the manufacturing process so that all Sun floors come pre-finished meaning that there's nothing else to do once the floor's installed. 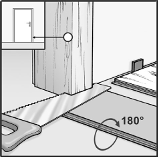 The grade of a hardwood is set when the logs are selected. 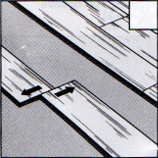 The timber is grouped according to the number and nature of features such as knots, splits, grain and colour. 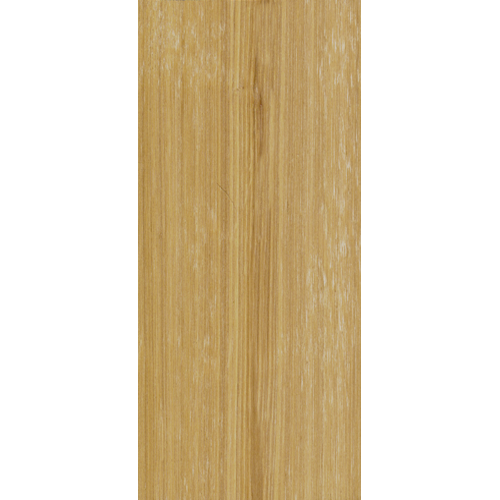 Choices range from Prime to Super Rustic which provides a wide range of character options in convenient groupings. The grading is purely an aesthetic guide since no one type has a technical advantage over another. It simply helps in the choice of the look and character of a floor. 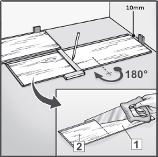 Your Sun floor is really simple to install! 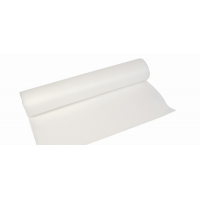 The Sun Polyfoam White underlay is a 2mm white polyethylene foam underlay with excellent sound insulation properties. It absorbs minor floor imperfections and is suitable for underfloor heating. It's lightweight and simple to install. Bear in mind that to comply with the manufacturer's warranty you will need to use a separate damp-proof membrane wherever the sub-floor is concrete. 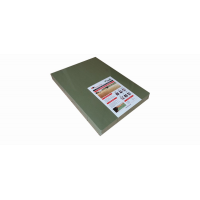 The Sun Polyfoam Vapour Control underlay is a 3mm green polyethylene foam underlay with a built-in vapour barrier with an overlap for joint sealing protection, and excellent sound reduction properties. 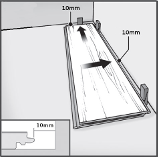 As with the Sun Polyfoam White underlay, it absorbs minor floor imperfections and it's simple to install. 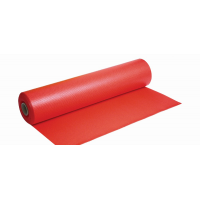 Although it can be laid over underfloor heating, it may reduce the efficiency of the heating system and therefore the Sun Quicktherm underlay which has been specifically developed for use with underfloor heating systems, should be used instead. The Sun Timbertech 2 underlay is a 3mm high-density rubber underlay with an integrated backing fleece and an aluminium vapour barrier. 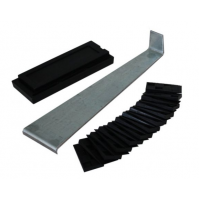 It has substantial sound reduction properties and is a high-density foam rubber for enhanced compressive resistance. It absorbs minor floor imperfections and it's simple to install but it's NOT suitable for underfloor heating. 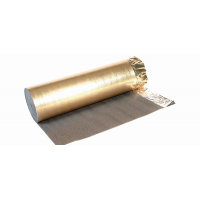 The Sun Polyfoam Acoustic underlay is a high-density 5mm black polyethylene foam underlay with a built-in gold-faced black vapour barrier, ideal for sound reduction. 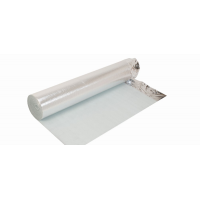 Although it can be laid over underfloor heating, it may reduce the efficiency of the heating system and therefore the Sun Quicktherm underlay which has been specifically developed for use with underfloor heating systems, should be used instead. 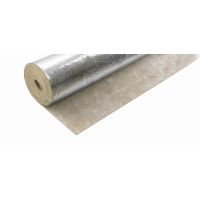 The Sun Quicktherm underlay is a 1.8mm perforated polyfoam underlay specifically developed to provide maximum heat transfer when used with underfloor heating systems. It provides excellent footfall noise reduction and impact sound insulation of 19dB. 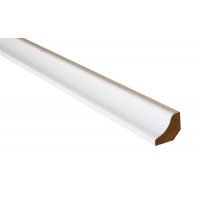 The Sun XPS Foam Fibreboard underlay is a 5mm thick fibreboard panel (600mm x 856mm) which is loose-laid across the sub-floor. It considerably reduces noise in rooms and it limits heat-loss through the floor. It's also a natural product and easy to install. Bear in mind that to comply with the manufacturer's warranty you will need to use a separate damp-proof membrane wherever the sub-floor is concrete. 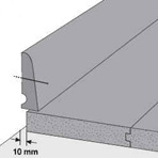 The Valinge 5G interlocking joint used in our Sun floors is really simple to use. 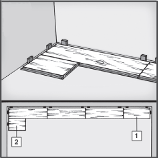 Have a look at these videos and see how easy it is to put a floor together. The second video by the way shows the installation of a laminate floor but the principle is exactly the same for one of our Sun floors. 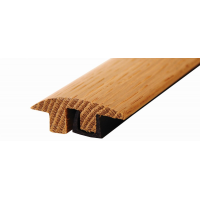 Use one of our threshold sections shown in Related products below, wherever the floor butts up to a different floor covering and don't forget to allow for the 10mm expansion/contraction gap. Your Sun floor is really easy to look after! All Sun floors are guaranteed from the date of delivery for the period and under the conditions warranted by ourselves. If any goods are found to be defective during the guarantee period and providing such defects have not occurred through incorrect installation, usage or maintenance procedures, or through the liability of other products or persons, we will at our discretion either rectify or replace the defective part of the goods or refund a corresponding proportion of the original price in accordance with the manufacturer's warranty. 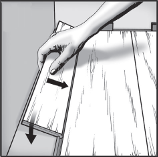 All goods should be carefully checked for any visible defects both before and during installation. Any goods which are installed in spite of such defects are not covered by the guarantee. Under no circumstances shall we be liable for any consequential loss whatsoever in the event of any claim arising under a guarantee. Sun floors are guaranteed for the period set out in the specification tab for each individual floor. They are guaranteed for all residential installations to be free from defects caused as a direct result of faulty manufacture providing the floor is installed in accordance with the manufacturer's installation instructions, a copy of which can be found in each pack of flooring. A commercial use warranty is also available dependent on the use to which the floor is to be put. Please use the Contact Us form to provide details of the installation and a warranty will then be issued. Sun floors are carefully inspected by quality control personnel before leaving the factory. However, flooring should be carefully examined by the customer and the installer for any defects prior to installation. In the unlikely event of a defective board being found, it will be replaced free of charge. In the event that a defective board is installed whether inadvertently or deliberately, no warranty shall apply. All Sun flooring is manufactured using a sophisticated bonding system with each board being produced under intense heat and pressure to ensure the highest level of quality. In the unlikely event of any structural failure of a board within one year of the installation of the floor, we will at our discretion either repair or replace the defective board free of charge. If failure occurs more than one year after installation but before the end of the warranty period, the liability under this warranty will decrease by 10% of the invoice value each year and will be limited to the repair replacement or refund (at our discretion) to the decreased value for that year. Sun floors are specifically designed to withstand the effects of normal moisture or dryness. 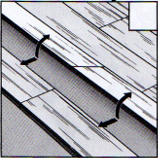 They are built with a cross-layered base making them extremely stable. 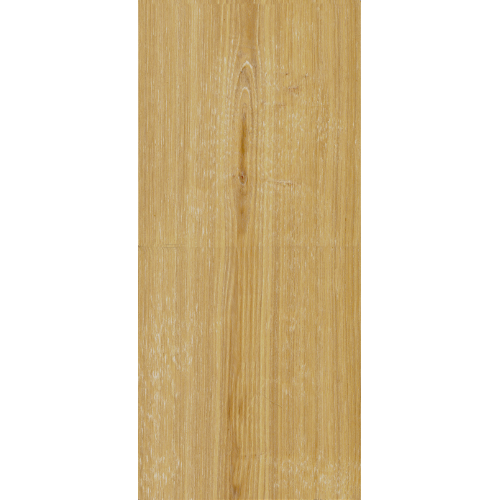 Sun residential floors are therefore significantly more resistant to expansion and contraction than traditional solid hardwood floors. Provided they are installed and maintained in accordance with Sun installation and maintenance instructions, Sun floors are guaranteed against damage caused by normal moisture and arid conditions. Should any floor fail under normal moisture conditions during the warranty period, we will at our discretion repair or replace the damaged flooring but we shall not be liable for any costs of finishing. 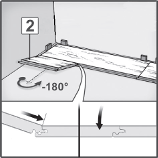 Improper installation - Performance of the floor is highly dependent upon proper installation. 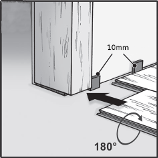 Installation must therefore be in strict accordance with the Sun installation instructions. Improper maintenance - Maintenance must be in strict accordance with Sun maintenance instructions. Abnormal environmental conditions - Sun flooring products are guaranteed to perform in what we consider to be normal residential applications. Any exposure to excessive heat or moisture may cause damage to the flooring and is not covered by this warranty regardless of cause or source. Electric under-floor heating systems are able to supply an almost instantaneous heat to the floor which warms up the floor over a very short space of time. 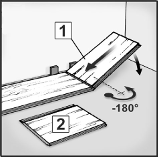 This can cause tensions within the floor and may cause the wood surface to split. We cannot therefore guarantee a Sun floor which is laid over electric under-floor heating. Any damage caused by environmental conditions outside the tolerances specified in the Sun installation instructions is excluded from any or all of this warranty. Please note that Sun flooring is not suitable for use in bathrooms, conservatories, or areas of high humidity. Misuse - No responsibility will be accepted for any damage caused directly or indirectly through misuse, abuse, accident or use that is not consistent with the Sun installation instructions. No guarantee either express or implied is given for any damage due to inadequate care or other causes including without limitation, stains, damage caused by worn or narrow-heeled shoes, by the movement of furniture or equipment, by heavy items, by impact, by scratches or scarring caused by pets or other animals, by abrasive or sharp-pointed items, by extreme heat or from moisture caused by wet mopping, spills or standing water. Alterations or repairs - Alterations and unauthorised repairs to any Sun flooring will void any and all express or implied warranties including merchantability or fitness for purpose. Any authorised repairs will not extend the guarantee period. The above warranty is the only warranty either express or implied provided by ourselves for residential applications involving light to normal traffic conditions. A commercial use warranty is also available dependent on the use to which the floor is to be put. Please use the Contact Us form to provide details of the installation and a warranty will then be issued. Except as stated herein no other warranty, express or implied, is provided including any warranty of fitness for a particular purpose. No retailer, installer, dealer, distributor, agent or employee has authority to increase the scope or alter the terms or the coverage of this warranty. No agreement to repair or replace shall in any event act to extend the period of coverage of any warranty provided. In no event shall we be liable for any claim loss or damage arising from the purchase, use or the inability to use its products or from any form of special, indirect, incidental, or consequential damages including, without limitation, lost profits, emotional, multiple, punitive or exemplary damages, or legal fees. In no event shall we be liable for the costs of old or new materials other than Sun floors. In no event shall our liability exceed the amount we actually received for the sale of the defective materials concerned. Any claim under the terms of this warranty must be made within seven days of the date on which the defects first became known or first should have been discovered. All claims must be in writing and in order to make a claim under this warranty, evidence of the purchase date and the identity of the original purchaser and installation location must be provided. Without such proof, no warranty shall apply. This is one of the most stunning light oak engineered floors we've ever seen, with an amazing white-flecked grain. This floor will seriously blow your mind! It doesn't matter how much effort we put into getting the pictures of this floor right, only the real thing will get across the stunning features of this floor. It's extra-wide, it's extra-long, it's a beautiful light-coloured engineered oak and it has the most amazing white-flecked grain. This floor has character and will completely transform any interior. Laid as a floating floor with no need for any bonding to your sub-floor and cleverly engineered to provide strength and stability with each of its three layers of wood laid at right angles to each other, its profiled edges enable anyone to lay this floor absolutely perfectly every single time, just like a professional would! 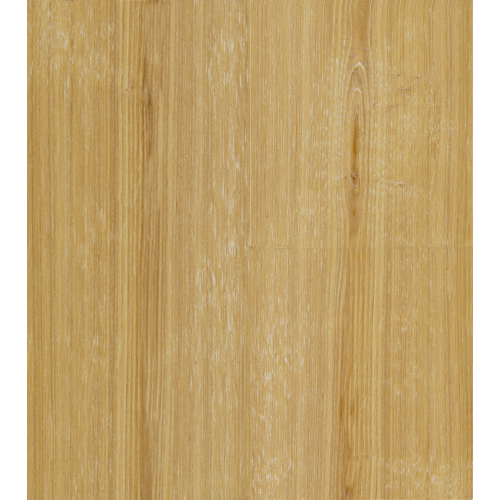 Grade There are five grades in the Sun range - Prime, Select, Natural, Rustic and Super Rustic. The grade of this floor is Super Rustic. A white scotia beading for the perfect finish around your floor! 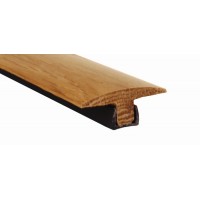 Simple to glue or pin to exist..
A 2700mm solid oak semi-ramp profile for the perfect finish where your floor butts up to a floor of ..
A 2700mm solid oak unfinished end/edge profile for the perfect finish around your floor! 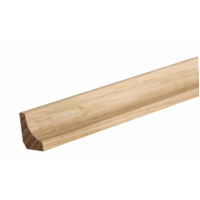 The id..
A 1800mm solid oak unfinished end/edge profile for the perfect finish around your floor! 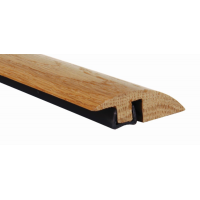 The id..
A 2700mm solid oak ramp profile for the perfect finish around your floor! 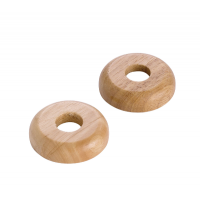 The ideal solution fo..
A solid oak unfinished scotia beading for the perfect finish around your floor! Simple to glue ..